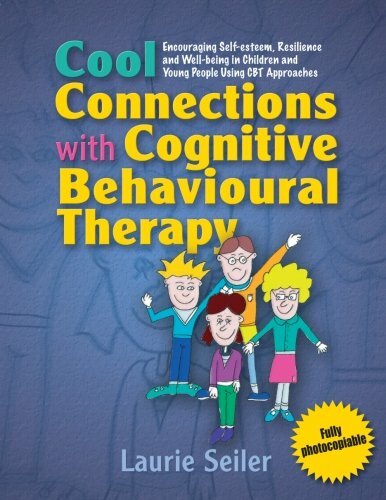 Workbook provides a cognitive behavioural therapy (CBT) approach to positively modifying the everyday thoughts and behaviours of children and young people aged 9 to 14. Combining a summary of CBT principles and step-by-step guidelines on how to use the materials appropriately with a mixture of games, handouts, home activities and therapeutic exercises, Cool Connections is designed to encourage resilience and self-esteem and reduce feelings of anxiety and depression. Tool for professionals working to improve the general wellbeing of children and young people, including psychologists, psychiatrists, counsellors, social workers, and child and adolescent mental health services, as well as professionals in residential care settings and educational professionals in child/youth services. Fully photocopiable. Reproducible pages.